Car sharing is becoming popular in Moscow: people used car sharing services some 2.7 million times in January 2019 alone. This is nearly four times more than in January last year. In January 2018 Muscovites used car sharing services four times less often, the Moscow Government website reports. The car sharing server is becoming more popular as new flexible rates are being introduced. In addition, there is an increase in the number of cars to share, and new services. The popularity of car sharing services is growing faster in Moscow than in other cities and even in Europe. Most shared cars are used in the city center. But users can finish their trips even in the Moscow Region, for instance, in Mytishchi, Reutov, Korolyov and Dolgoprudny. 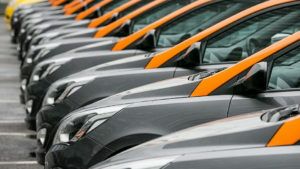 There are currently some 17,000 cars to share in Moscow. By the end of 2019, their number will reach 20,000.